Happy faces at El Dia de los Muertos at the Petaluma Arts Center in 2011. A century ago, Petaluma was rightly famous as the “World’s Egg Basket.” Today, chicken farms have given way to cattle ranches and vineyards, and Sonoma County‘s second largest city enjoys a reputation as a relaxed community that effortlessly blends rural and urban sensibilities. But at this time of year, the atmosphere in Petaluma turns decidedly spooky. Zombies and ghouls wander the streets. Conversations are punctuated with talk of seances and skeletons. And for just a few weeks, the only agricultural product that anyone cares about is the pumpkin. Welcome to a city that knows how to celebrate Halloween! D Street remains especially popular among the legions of costumed kids and grown-ups who take to Petaluma’s streets every Halloween in search of treats. Located on the west side of town, the street’s stately Victorians seem particularly suited to Halloween, and many residents go to great lengths to decorate their homes in the spirit of the holiday. By one count, each D Street home will hand out 2,000 pieces of candy to trick-or-treaters tonight alone. Other parts of town will draw crowds as well, with downtown merchants hosting a Trick 0r Treat Trail during the afternoon. Generally speaking, every neighborhood with more than two or three homes with kids will be Halloween central. More than a dozen Halloween-themed festivals have already come and gone, including the Zombie Walk at Copperfield’s Books, but never fear: “El Dia de los Muertos” at the Petaluma Arts Center is still going strong and runs through Sunday. On Thursday it will feature a candlelight procession to a cemetery to honor loved ones who have died. Then there are pumpkins — thousands of them. At this time of year, Petaluma is home to a half-dozen pumpkin farms. Most will close at the end of business today, but the sprawling Petaluma Pumpkin Patch and Amazing Corn Maze will stay open an extra day before calling it a season on Thursday. For some folks in Sonoma County, the Petaluma Pumpkin Patch is known as much for the traffic congestion it causes on nearby Highway 101 as for its pumpkins, but this year was blessedly different. Caltrans added a new lane from Rohnert Park to the Old Redwood Highway, and locals report that pumpkins and cars now peacefully co-exist. 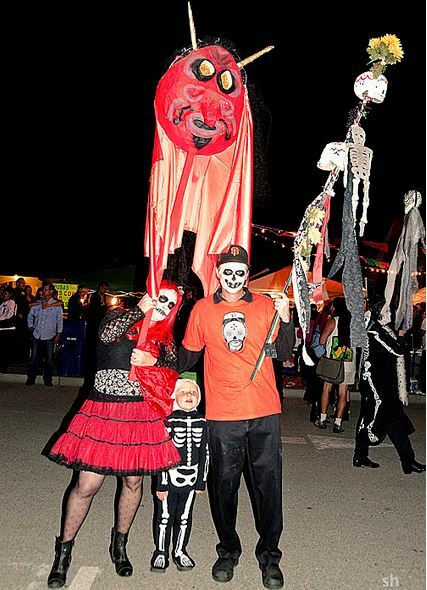 Halloween is just one of the many community events that add spice to daily life in Petaluma. Built around a picturesque downtown retail district along Petaluma Boulevard, the city’s many ornate stone and brick buildings dating from the turn of the last century have earned it a National Register of Historic Places designation. The neighborhood boasts more than two dozen antique stores, attracting shoppers from across the Bay Area on weekends. The Petaluma River is nearby, and a restored river walk has attracted new life to the area, now home to many art galleries and restaurants. Many of Petaluma’s newer homes are located in neighborhoods east of 101, including the Kings Mill and Adobe Creek developments. Easy access to 101 — San Francisco is 32 miles to the south — has helped spur development in the area, resulting in a real estate market that is “smoking hot,” according to one of Pacific Union International’s top Sonoma County real estate professionals. As in other tight Bay Area real estate markets, many Petaluma homes for sale attract multiple offers. Median prices have been rising steadily all year, and by September the average sale price for a Petaluma home was $407,624, according to MLS data. Next PostNext Is It Risky to Buy a Home with Unpermitted Work?